Recently Merijn was in London for delicious. 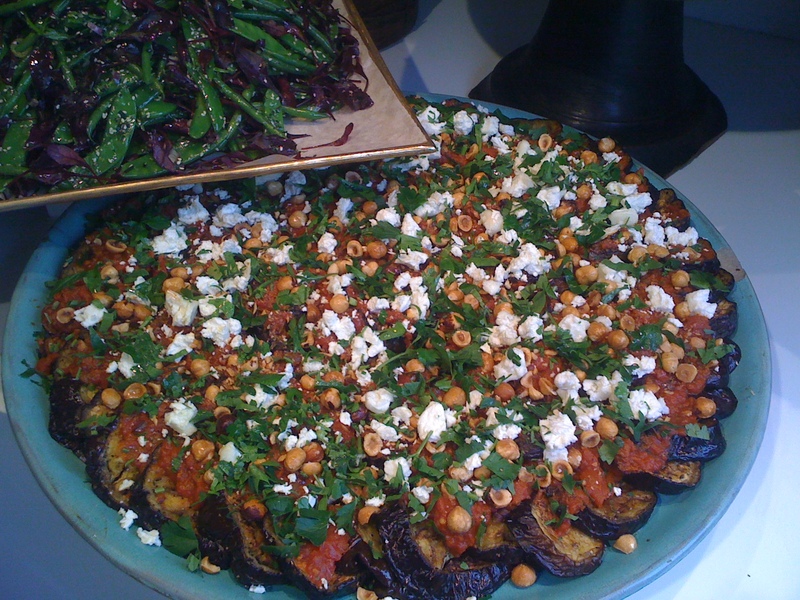 and visited the fantastic Ottolenghi places, the one in Islington, and met Yotam & Sami. It was so great to see their warm and superb Middle Eastern fusion kitchen live. Even nicer was Yotam’s warm enthusiasm. Merijn gave him our books, and we are proud he loves them as much as we loves his/their books. We made plans to cook together here in Amsterdam, as Yotam’s coming to promote his great Plenty book. And to conclude this post: a festive cocktail (with or without champagne) with pomegranate for prosperity and a free future for the whole Arab world! Mix pomegranate juice with champaign or sparkling water, make mint sugar from fresh mint, lemon rind and sugar and dip the wet glasses in the mintlemonsugar. Pour in the pomogranate cocktail and add some seeds!